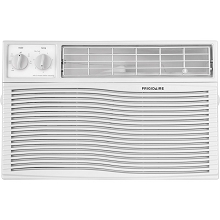 The easy-to-install Emerson Quiet Kool 8,000 BTU window air conditioner with remote control is the perfect air-conditioning solution for your home or office. 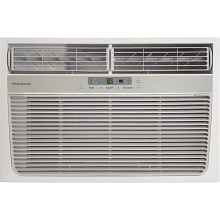 Designed for rooms from 250 to 350 square feet, convenient features include electronic controls with 3 speeds, flexible cooling options and a 24-hour on/off timer. 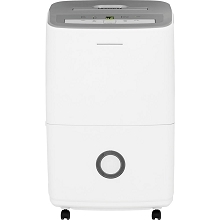 You'll also enjoy low voltage startup to conserve energy and save money, plus convenient auto restart in case of a power failure. And for peace of mind, you get our 1-2-5 years warranty: 1 year labor, 2 years parts and 5 years compressor. 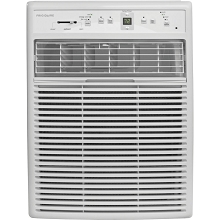 Emerson Quiet Kool air conditioners are a great way to beat the heat and stay comfortable. 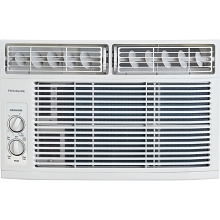 8,000 BTU air conditioner for window-mounted installation cools a room from 250 to 350 sq. ft. Window width: 23" min / 36" max; Minimum window height: 14"